Lewis Howes went from playing professional football, getting injured, to starting over from scratch and creating a lifestyle business he loves. Lewis has gone on to become a New York Times Bestselling author, his podcast, The School of Greatness, has recieved millions of downloads, and he has built a multi-million dollar online media company, teaching others how to build a lifestyle business around what they love. Lewis wanted to find a lead magnet that captured more of his existing website visitors so he could help them create the business that helps them live the life they desire. 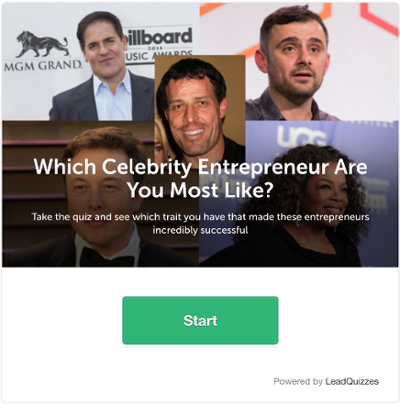 Lewis Howes created a celebrity quiz titled, "Which Celebrity Entrepreneur Are You Most Like?" This quiz would take them to a results page tailored to their answers, telling them the traits they share with different celebrity entrepreneurs like Mark Cuban, Elon Musk, and Tony Robbins. 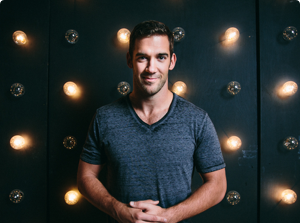 Lewis Howes used LeadQuizzes to grow his email list by 42%. Grew his email list by 42%.